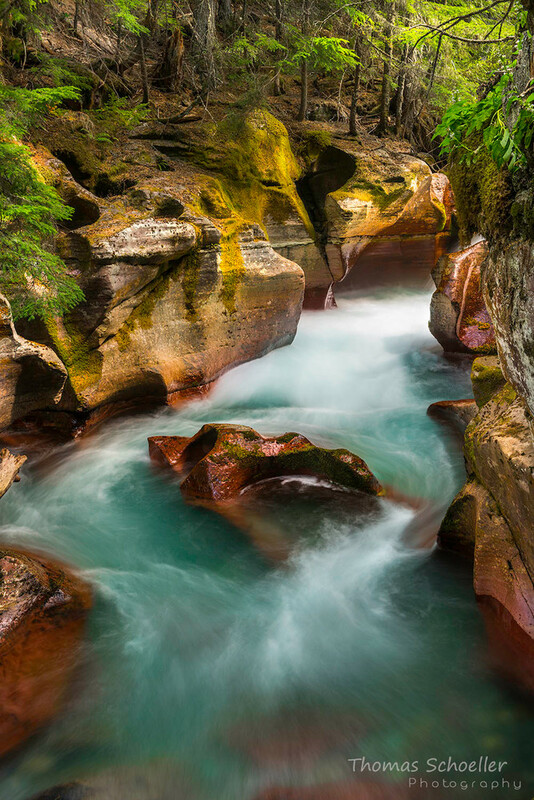 This is just one of many wonderful composition opportunities along the highly scenic Avalanche creek as it carves through the gorge on it's way to McDonald Creek. The lovely blue-green tint in the waters of Avalanche Creek is due to Glacial talc. As the deep snows melt in the high peaks and travel downhill, meltwater is filtered through the fine powdery talc which produces it's iridescent and vibrant hue. The warm earth tones of the gorge walls make for an attractive color combination as well as a WOW factor.